Yesterday we caught 2 out of 4 tarpon in the morning. Last night we caught 2 out of 2. Much slower fishing in the evening with lots of boat traffic. Tonight we fished an area that is out of the way of many boaters which worked out well. Caught 4 tarpon on our evening trip plus a nice bull shark. Great day on the water! 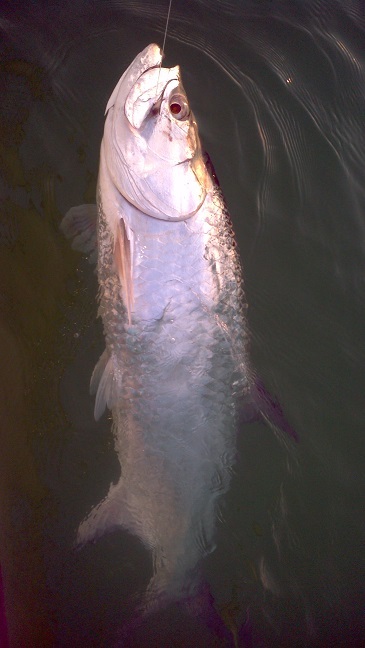 The may evening tarpon fishing in islamorada should be good the next few days, falling tides into the darkness. This can be feeding frenzy time. Fish begin to feed on crabs much more as the mullet thing out – these can be deadly especially fished at dark and after dark!